I’ve made the BEST pie I’ve ever made last weekend. 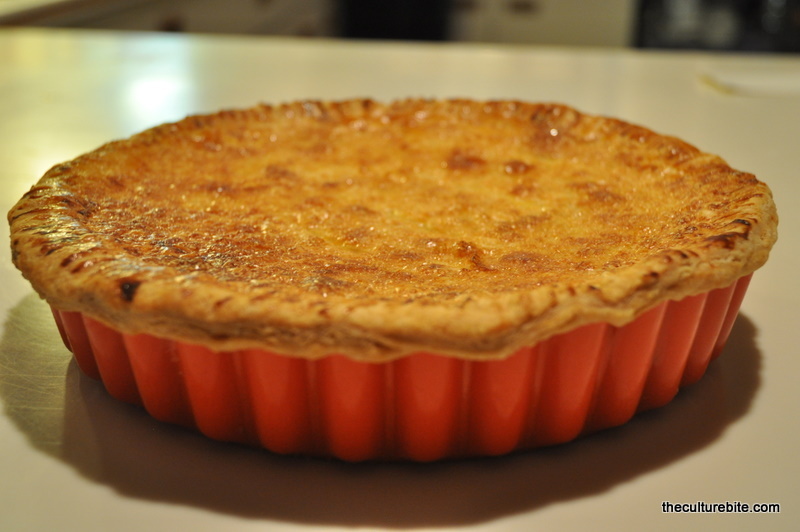 I once saw a Lemon Shaker Pie in the window at a Mission Pie in SF and I knew I had to eat (or make) that pie one day. 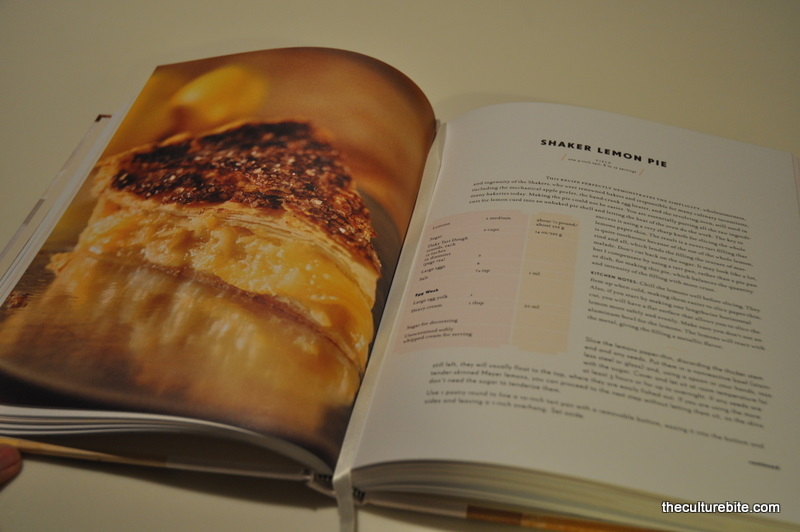 Just my luck, my parents received a Tartine cookbook for Christmas with a recipe for a Lemon Shaker Pie! Warning: Give yourself 2 days to bake because you will need to chill your dough overnight. Slice lemons paper thin with a sharp knife. I used a mandolin since I don’t trust myself with very sharp knives. It helps to chill the lemons before you cut because the cold temperature keeps the lemons firm. Remove the seeds and place the slices in a glass bowl. Do not use a metal bowl because it will react with the lemons. Add sugar and stir gently, then cover and macerate for 3 hours or overnight. When using Meyer lemons, you can skip the macerating because their skins are already thin and tender. 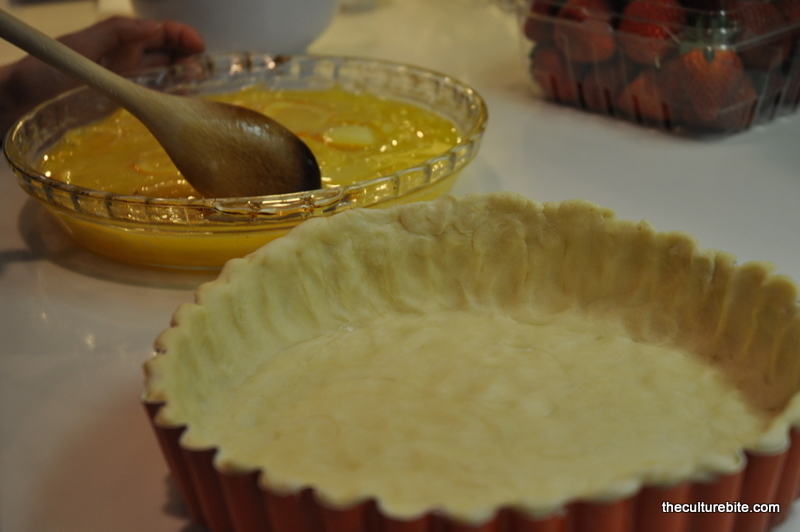 In the meantime, prepare the tart dough in a 10-inch tart pan with a removable bottom. When the lemons are done macerating, mix the eggs and salt until blended. 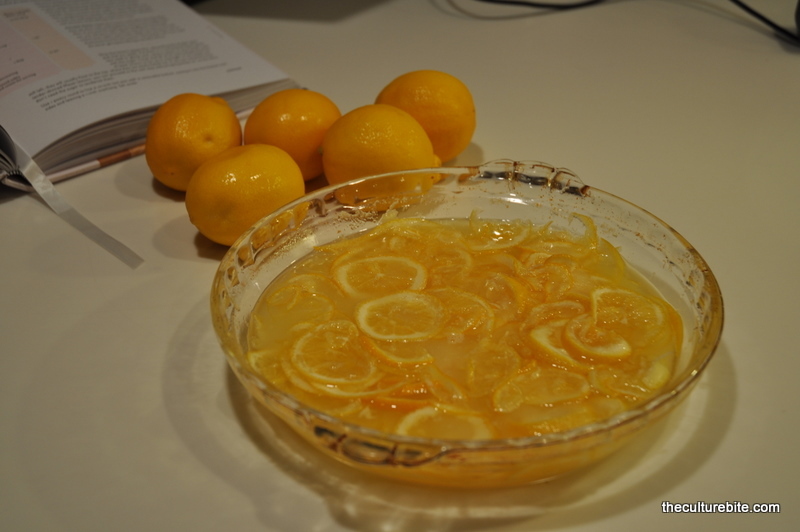 Add the mixture to the lemons and pour into the pan. 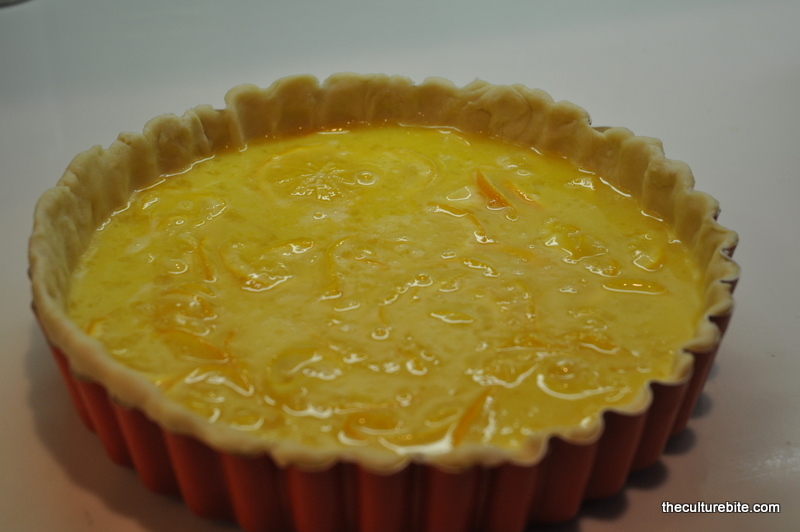 Brush egg wash around the rim of the bottom layer of dough. Place the second round on top, trim, and seal. Crimp to your hearts desire. Brush top with the egg wash, then dust with sugar. Let rest in the fridge for 30 minutes or so, then cut vents before baking. This process is to help keep the pockets of butter in the dough cold. 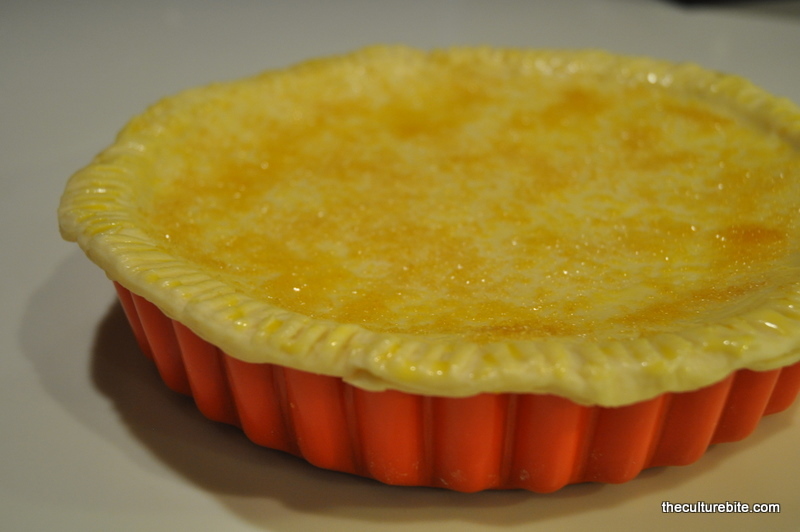 The plan is to have the butter melt only in the oven to achieve maximum flakiness. 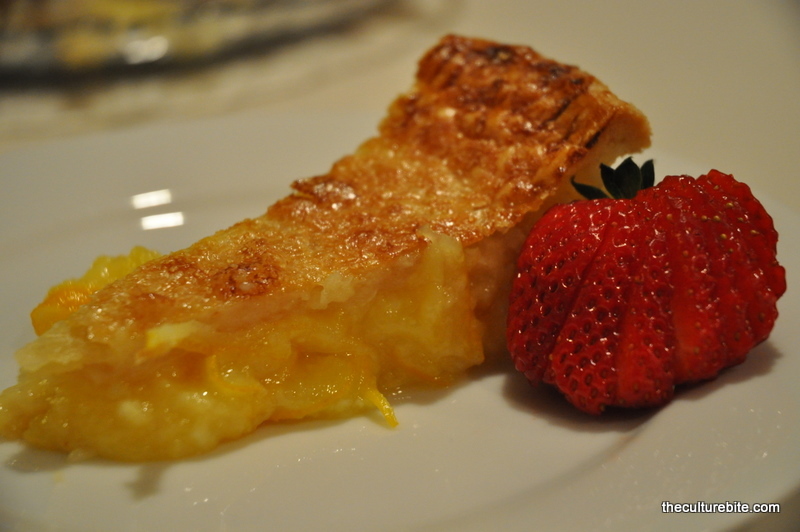 Bake at 350 degrees for about 40 minutes, until you have a nicely-browned crust. Let the pie completely cool so the filling sets. Serve at room temp or heat in the microwave for a few seconds.